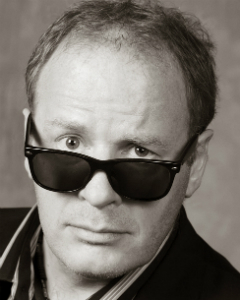 Andrew Grose is a Canadian comedy veteran with some of the most impressive credentials in the industry. In addition to over 20 years of live performances in comedy clubs, theatres and festivals he has made his mark on national television in Canada. His credits include a one hour Comedy Now Uncensored Special on The Comedy Network, a half-hour Comedy Now special on C.T.V., a half-hour Comics! comedy special, 3 Comedy at Club 54 Specials and countless television appearances from the Winnipeg Comedy Festival, The Halifax Comedy Festival and the Just For Laughs Comedy Festival. In the last few years Andrew has appeared at Just For Laughs 8 times as well as the Halifax, Moncton, Saint John, Medicine Hat, Winnipeg and Edmonton Comedy festivals. He was also the Mayor of Edmonton’s choice to appear at the Mayors Celebration of the Arts in 2010 and starred in the 2011 Calgary Stampede Grandstand Show. Originally from Charlottetown, P.E.I. Andrew makes his home in Edmonton, Alberta where he organized the Laughing For Cancer Benefit which raised over $1,000,000 for cancer research and treatment in Alberta. Andrew is the Producer of the Edmonton International Comedy Festival.